New Mexico House passes ‘most extreme’ pro-abortion bill in America | The Fringe | Conspiracy, News, Politics, and Fun Forum! New Mexico House passes ‘most extreme’ pro-abortion bill in America | The Fringe | Conspiracy, News, Politics, and Fun Forum! New Mexico House passes ‘most extreme’ pro-abortion bill in America The-Fringe | Your #1 Source For Conspiracy, News, Politics, and Fun! Aquarius, Frigg, Karu, Wingsprint likes this! Aquarius, BadBrad, Catch, Dr Evil, ElixerPi, Frigg, Scarlett O'Hara, TheOrderOfChaos, Wingsprint likes this! This is a video that I have been told is absolutely extreme and graphic. It needs to only be given to those people who say there is nothing wrong with a third trimester abortion. Dr Evil, Frigg, Wingsprint likes this! Aquarius, BadBrad, Dr Evil, Fossy, Frigg, Scarlett O'Hara, Wingsprint likes this! The thing which chills my blood is the fact this is clearly a co-ordinated effort right from DNC. It's one thing to demand widening the death penalty for the worst of the worst, another to target the helpless. Civilisations are judged on how they treat their most helpless: the very old and the very young. And the DNC is vigorously driving a stake right through that measure. I hope it proves utterly ruinous for their wretched despicable movement. Sadly I don't think it will, given the observed power of the mass hypnosis saturation media operant today. But it's very hard to see how this program of organised, coordinated and financed wickedness could possibly have any upside whatsoever for anyone partaking in or supporting it. Personally, I wouldn't wanna be in the way of that karma as it came out of the pipe. Aquarius, BadBrad, ElixerPi, Fossy, Frigg, Scarlett O'Hara, Wingsprint likes this! (02-09-2019, 10:42 PM)FlyoverCountry Wrote: No other animal willfully kills it's own offspring. Try killing a bear or lion cub with it's mother present. Actually, tom cats sometimes kill their own kittens. (02-10-2019, 12:05 AM)Capnron Wrote: Do y’all believe God? For her sins have reached unto heaven, and God hath remembered her iniquities. When New York passed their law I told my son that we will never go to NYC because at some point, it will be a smoldering hole in the ground...Now this. It just reaffirms my belief that the good ole USA is the whore of Babylon. 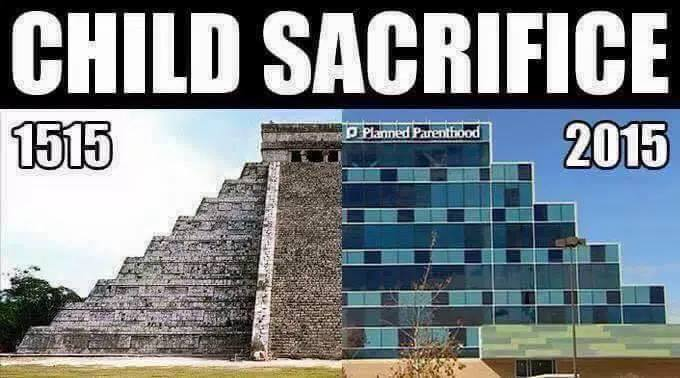 God will judge us for killing babies. We are not innocent. We are responsible for electing these evil representatives. Not entirely. Elections have been rigged for several decades at least.